YouTube has named the 2013 commercial from Turkish Airlines the advert of the decade. 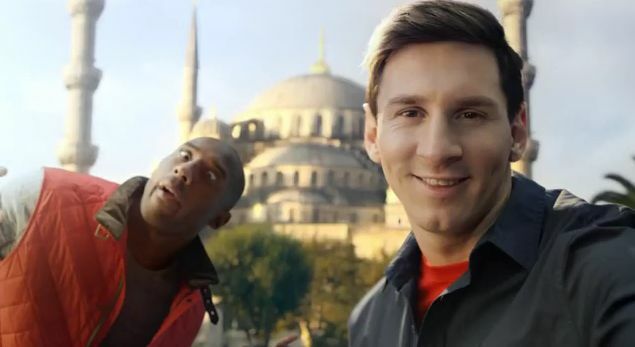 The advert features Lionel Messi and Kobe Bryant battling for the best selfie and was voted for by fans to celebrate ten years of YouTube. The work of Crispin Porter + Bogusky and Starcom, the advert combined the world’s love for selfies and sports personalities and hit 25 million views in the first three days. In the video, the footballer and basketball player catch flights to a number of countries around the world and attempt to one-up each other with the best snap. Coming in second was Volkswagen’s 2011 ‘The Force’ advert, which, attracted over eight million views on YouTube before anyone saw it on the television.